Enjoy an active day in the city with a bike ride and a chance to practice your swing at the golf or batting range. This bike tour takes you to Randall’s Island, sandwiched between north Manhattan (East Harlem) and the South Bronx. We cross the 102nd Street footbridge and do a lap around the perimeter of Randall’s Island, offering great views. 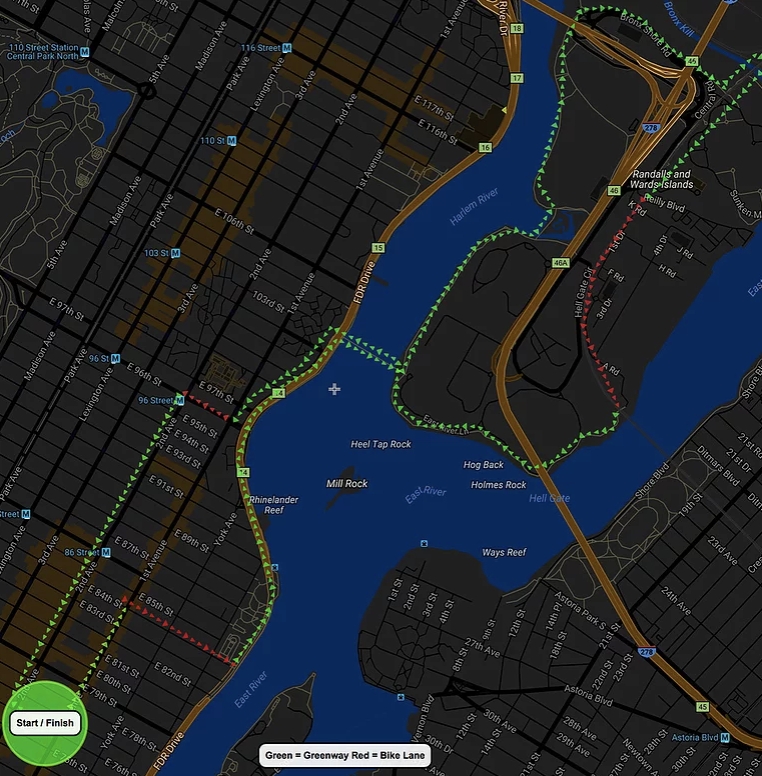 Next, we ride to the new (2015) Randall’s Island Connector that links the Island to Port Morris in the South Bronx via a .25 mile greenway under the Amtrak trestle and passes over a red pedestrian bridge spanning over the Bronx Kill. This tour gives you the option of stopping at the golf and/or batting range to hit a few golf balls or baseballs. It’s the perfect way to spend an afternoon in the city!